Lisa Irene Girdwood, August 5th , 1964 - February 8th, 2019, after a long and courageous battle with brain cancer passed from our world peacefully with her loving cat, Molly, on her lap, surrounded by her loving sons, sister, and husband. Lisa was the daughter of the late Glenn and Beulah (Kingsley) Girdwood. She is survived by her sons, Brandon (Sylvie) Ferrier, Adam (Jessie) Ferrier, and Devon (Marianne) Ferrier; her siblings, Michael (Janet) Girdwood, Leanne (Kerry) Saumur, Rob (Rani) Johnson, and her husband, Roderick Bennett. 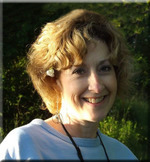 She will be greatly missed by her grandchildren: Cedric Ferrier; Madelyn, Emmalyn, and Katelyn Broniek; her step children Kathryn (Chris) Broniek, Cameron (Tara) Bennett, and Channing Bennett; Jason Brown, who she loved as a son; her former husbands, Gord Ferrier, and Steve Ashton; and by the many friends and family she loved so much. Lisa had a passion for her family and for entrepreneurship. She began working in the family store, Girdwood Drugs, when she was in her early teens. She founded Classy Cuts Salon, Modern Thymes Health Foods Store, and Financial Fitness for Families. For many years she had been a successful hair stylist before undertaking the extensive training required to be a financial planner ultimately obtaining her Certified Financial Planner designation, life and mortgage agent licenses. Lisa will be fondly remembered and missed by everyone who knew her. Family and friends are invited to a Gathering to Honour Lisa at the Blair & Son Family Centre, 15 Gore St. West, Perth on Saturday, February 23rd, 2019 from 1:30 to 4:00 P.M. In remembrance of Lisa, contributions to Cancer Center of Southeastern Ontario would be appreciated.